1. I typed in some HTML on my page and it isn't working!! It's likely incorrect coding. There are some codes that are also not supported on EX for various reasons. Try fiddling with it or asking for help on the boards. We've got a lot of awesome coders out there who would be willing to offer advice and tips. 2. I see some people with pictures instead of their names. Why is this? Upgraded members have the option to have "avatars," which are the little pictures you see. Generally they replace the player name. 3. How do I change my password or PIN? Go to the "Settings" link under the User Tools sidebar to the right. From there, click the "Change Password/PIN" link. You'll need to know your current information as well as the answer to the security question you set when you joined. If you don't remember these, contact a mod. 4. How do I change information about me and my farm, or my email address? Go to the "Settings" link under the User Tools sidebar on the right. In the Settings box on the left, click "Profile Display." There, you can change or reset your farm description information. Remember to click "Save Changes" at the bottom once you're finished. 5. How do I make money? I'm broke! Earning money is quite easy in Exhibited. You can collect interest daily, as well as a weekly paycheck, from the bank. You can enter your dinosaur(s) in battles and trials every day, and earn money for winning. If you're upgraded, you can create your own trials for other players to pay for their dinosaurs to enter. Playing games will also earn you money. Additionally, you may choose to buy and sell items, offer to train other people's dinos for a fee, breed and sell your own dinos, or create and sell artwork. The list is endless! Check out the various sales boards to see how other players are earning money from selling or trading their items, dinos, or art! 6. I've been hacked! What can you do to help me? There is currently no way to hack accounts. If someone is on your account, it might have been because you either A. shared your info with someone. B. Made your password too obvious. C. Left yourself logged in somewhere public. Unfortunately, there is no way to safely prove that your account has been hacked, so it's up to you to maintain your account's security. If you are careful about the previously listed things nothing bad should ever happen. However, if you are adamant that your account login information hasn't been shared with anyone, then please send a message straight away to admin@exhibited-sim.com. 7. I don't want to give you my email address. Is there a way I can play without doing so? Every account MUST have a linked email address or it is simply impossible for the password retrieval system to work. Don't worry - nothing will be done to your email address and we won't spam your inbox. It won't be shared with anyone and is kept strictly for record purposes. 8. What's the difference between my username and my player name? Your username is the one that you use to log in with, and therefore should be known only by you. Your player name is the nickname, or name that everyone in the game sees. 9. What's the point of upgrading? By upgrading you are supporting the site by donating money. This helps us keep up with the cost of keeping the site up (and getting new art!) and in exchange you get lots of cool new features to play with. A few of the features you get: Personal avatar, signature image, ability to pick two eggs out of a clutch! Check out the Scales page for more information. 10. My farm page has gone boom! What can I do? You can reset it. If your farm page is so thoroughly destroyed that you can't see the reset button, go to your player page - You can use the "Reset Page" button at the bottom of your player info. 11. Oh no! I've been banned! What should I do? 12. What's a mod/moderator and how do I become one? A moderator, or mod as they are sometimes known, are the equivalent of the police in Exhibited. They're here to keep the game running smoothly and with no problems or disruptions or rudeness. Respect them, they're doing it all voluntarily for your benefit! As for becoming one.. Look out on the news and board pages for "mod openings". Please do not ask to become a moderator. I choose them myself. 13. Your site stinks! I hate it! 14. What are player points and how do I get them? Player points are the total points your account has racked up over the course of the game. You get them from battling and entering your raptors in trials. 15. What does the TW mean on my farm, next to points? TW simply means "this week" - so any points you have earned this week will be marked points earned "TW." 16. I have a suggestion! There's a "Suggestions" board on the boards! Go write up what you are thinking, why, and how it would help the game as a whole. Other users can support it then, which gives it a higher chance of being considered in an update. 1. Where is my moving crate? Your moving crate is on your farm page right above your enclosures and right below your farm profile section. 2. I bought a dinosaur but it's stuck in the moving crate! Refer to "starting up" of the game guide. Check to make sure you have an enclosure of the correct species with space in it. Remember, egg's count as space too. 3. How do I buy a dinosaur? Refer to "starting up" of the game guide. Dinosaurs can be purchased at the Lab on the Map. It's the building with a strange vine growing out of it. 4. How do I get an enclosure? 5. How do I change my dinosaur's name or picture? Go to your dinosaur's page and click the "owner" tab. There's an input box there for Name. Fill that in and hit the "Change" button. You can add overlays and clipons from your inventory to your dinosaurs to change how your dinos look! It might take a bit of time to update the image, but you can hit the "No image?" button right under the picture (and then possibly refresh) to try to speed it along. There are some player-made overlays at the Overlay Store that can be found linked on the map! 6. How do my dinosaurs age? They age one day every day you login. They will only age once a day, so if you login multiple times that day it will still only age once! If you forget to login, don't worry: Your dinos won't age a bit! 7. Will my dinosaur die? Yes, in time, unfortunately it will. Be careful though, as well as old age, it can also die in battle, from starvation and from poor health! Keep an eye on all its statistics, particularly when battling! 8. How do I train my dinosaur? Go to the training page on the map, select a dinosaur you want to train and in what stat, and then press the button. It costs a small fee and you can do it once per day per dino. 9. How do I sell my dinosaur or put it up for stud? Go to your dinosaur's page and click on the "Owner" tab. There's a section there for "Stud Price." Set the Price and set it to either Private or Public. Public means anyone who wants to pay the money can breed their dino with yours. Private means they have to send requests that you can accept/reject on the dino's page. 10. How do I feed my dinosaur or make it better? You can buy food items from the Food Store in the Store which can be found on the Map. Alternatively, you can search the Player Shops for specific items, or check the boards for people doing sales there. Various food items can give your dinosaurs stat boosts, so not all food is the same! To feed a dinosaur, either give it food from the Currents tab on its page, or go to your inventory and select "Use" on the food you want to use, then select the dinosaur you want to feed it to. 11. What do levels and titles do? Levels rank your skilled your dinosaur is considered to be. Every level up gives your dino a stat boost based on how high the level is. Additionally, each level gives your dinosaur another Skill Point, which you can assign to Hunting, Trialling, or Battling. Titles rank your dinosaurs for trials - the better the rank, the more points the dinosaur has achieved. 12. At what age do dinosaurs die? They die of old age when they get to 100. However, they can die at any age if they aren't looked after properly. 13. What does the level up button mean? It means that you can level up your dinosaur! You can level them up each time you get enough battle points. The dino will get a variable stat bonus every time it levels! 14. Why do some of the dinosaurs' tails bend in the pictures? We're constrained by image sizes so sometimes in order to fit the tail in we need to use some artistic license! 15. What does "Assign food" do? The assign food option allows you to restrict the diet of your selected dinosaur. After a specific food as been assigned to the dinosaur, it will not be fed when using "feed all" or "feed enclosure" with a different food type. This allows you to specialize specific dinosaurs a bit more easily! 16. What does Happiness do? If a dinosaur's happiness drops below 30%, it will start losing health every day due to stress. To raise happiness, you can get an enrichment item from the Enrichment Store and place it in the enclosure. Once it is in the enclosure, you will see a Play option under the graphic on the enclosure's page. Playing automatically raises 10 dinosaurs to 100% happiness! 1. Can dinosaurs die in battle? Yes. If their health drops down to 0% or below they will die, so keep an eye on their health total and make sure to pull them out if they're in danger! 2. What do I get from a battle? If you win, you'll gain a win for your dinosaur, some battle points, money, and chance of a higher level. If you retreat, you get a loss put up on your dinosaur's stats, but no other penalty - so make sure to have your dino retreat if it looks like they going to die! 3. These battles are really hard! When you first start out battling and your dinos have low levels, battles are hard. They get easier as your raptor gets better. Sending your dinosaur to Hunt or to participate in Trials will give them some daily points without the risk of battling, which should help you out early on! Remember to assign your skillpoints to Battle to unlock new moves! 4. Can I have more moves than just Scratch and Defend? 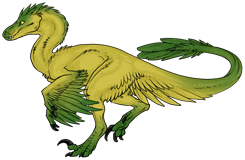 Your raptor learns new moves automatically as you level up their battling prowess. You can do this by assigning skill points to it earned from level ups. 5. How many times can I battle a day? You can battle each dinosaur 5 times a day. 6. Is there a faster way to battle? Yes there is. For 15 scales you can purchase access to the Third Party Battles (TPB) panel, where you can hire trained professionals to battle your dinos for you. 1. What are the point of trials? Trials are another way for dinosaurs to earn points which can be used to level your dinosaurs. You can enter them every day and depending on how well your raptor does, it gains x amount of points, which also determine how high its title is. 2. How many trials can I enter a day? You can enter 10 trials per dinosaur per day. 3. It says my dinosaur is too hungry or unhealthy to enter trials! What should I do? Dinosaurs need to have at least 35% hunger and health to be able to enter trials. You'll have to boost their hunger/health with food/healing items before you can enter them. You can get both types of items from the shop. Food items are in the Food Store, health items are in the Health Store. 4. It says my dinosaur is too old to enter trials?! Ah, then your dinosaur is over 80. When a dinosaur hits 81 they can no longer enter trials or train. 5. How old does my dino have to be to enter trials? Dinosaurs can enter trials from age 10 up to age 80. Titles are the "level" your dinosaur is at in trials. 7. What do the titles stand for? 8. My dinosaur had x total trials and now it's gone down! What's happened? Old trial results are deleted every 30 days. Don't worry if they go down -- this won't affect your points or title. 9. How do I create a trial? You must be an upgraded member to create a trial. If you are, just go to the trials page and fill out the "Create a Trial" form. 10. I created a trial but when I searched for it it didn't show up! When trials are made they are set to run in two days. You can only search for trials to enter that run tomorrow. 11. What's the Quicker Trial Trainer? (QTT)? QTT is a little "cheat" that allows you to enter the maximum amount of trials in one click, per dino. You have to pay 15 scales to get permenant access to it. 12. What's the difference in the trial types? 1. How do I breed my dinosaurs? This is covered in the game guide. Under the Owner tab on a dinosaur's page, there is a dropdown list of other dinos of that species that you own. Hit breed and it will take you to the Egg Selection step of the process. To breed with another player's dinosaur, one of you must have your dino up for stud (either public or private). Go to that dinosaur's page, and select your dinosaur to breed with the stud. In both situations, you must make sure to have space in your enclosure and in your incubator for the egg/eggs. 2. Why can't I breed two different species of dinosaur together? Because you just can't. It would be like making a parrot and a chicken mate! 3. When can my dinosaurs breed? When they are 10 or older and 80 or younger. 4. My dinosaurs laid an egg! When will it hatch? It takes three days for an egg to hatch. In the meantime, you can turn the egg in the incubator every day for a stat boost! The incubator can be found by going to your profile page and clicking the incubator link on the right. 5. I just bred my dinosaurs and now I'm stuck on the clutch page! You have to select which egg(s) you want to keep and click "I'm done" before it will go away. 6. I want to keep more than one egg from a clutch! You need to be an upgraded member to pick two eggs from a clutch. 7. Why is an extra dinosaur counted in my enclosure when there's only X amount I can see? Eggs are "ghosted" in your enclosures so say if you have 3 dinosaurs in one enclosure, and breed a new egg, the egg will go in that enclosure and though you won't be able to see it in there, it will count as 4 dinosaurs in your enclosure. This is because as soon as it hatches it is released into the enclosure and the space needs to be kept free. 8. Why can't I sell an egg? Eggs can't be sold because they need time in incubators. It'd be like selling a newborn puppy while it still needs its mother! 9. Why are all the eggs in my incubator the same gender? Your incubator temperature defines whether or not an egg is male or female, and this applies for all eggs in the incubator. If you want different gendered eggs, try getting eggs at different times. 10. How do I change egg genders? Check out the table a the bottom of the incubator page. It will tell you what temperatures make what. 11. Can eggs die if I set the temperature too hot/cold? Yes they can. Be careful! 12. I don't want all my eggs to be the same gender! Is there something I can do to change individual genders? Upgraded members are allowed to have two incubators - thus allowing one for male and one for female. Basic members simply have to adapt - when you need a female, breed 3 days before or after. Leave gaps between your eggs so you can set the temperature to the desired gender. 13. What do the genetics mean? The first line of genetics refer to the dinosaur's genetic health, which you can read about here. The second line refers to the genetics to determine the dinosaur's markings. 14. Is there a way I can predict what colors my eggs will be? You can use this tool here which can also be found on your dinosaur's Owner tab under breeding. Otherwise, the colors should be similar to a combination of the two parents' colors, though the actual mix varies per egg! 1. Are these real fish species? These are real fish species that existed millions and millions of years ago. 2. How do I get a fish? You go to the fish store, located on the second map. 3. How do I get a filter? Filters are also found at the fish store! 4. How do I feed my fish? After buying enough servings (you have to have enough servings in your tub to be able to feed them, otherwise it's just not fair) from the fish store, you simply go to your tank and press "feed." It will feed all fish for that day. They'll only eat once a day, so putting in extra won't help them. 5. How many servings do fish need daily? Each fish needs just one serving of food a day. 6. What happens if I don't feed my fish or filter their water? Sadly, after a few days of this, they will die! 7. How do I attach a filter to my tank? Buy a filter and it will appear in your inventory. Use it and there will be an option to "attach to tank." 8. How do I breed my fish? Your fish breed automatically. You cannot breed them manually. There is a 20% chance your fish will breed every night. 9. How do I make a fish's weight go up? 10. Can't I have more than one tank? No. Fish on Exhibited are only meant to be a side project, something for additional fun. There are not too many features with fish. 11. How long do fish live? Fish can live up to 49 days and they die on their 50th. They have no minimum or maximum breeding age during this time. 1. Where do I get herbivores? You can get herbivores at the same place you get carnivores - at the Lab on the Map. There's quite a few species, and if you don't see any you want, 2 new herds will be available every 15 minutes! Yes! They really are! It's not recommended that you get them until you're fairly set in the game already, as they can get quite pricey to maintain! 3. Do I have to water/grain my herbivores every day? Yes and no! If you don't water your herbivores every day, they will lose grade points slowly and could eventually die from dehydration. Grain is optional though. Giving your dinos grain every day is a way to speed up their grade growth. It's pricey, but can be worth it sometimes. 4. What do the grades mean? Herbivores have a lettergrade applied to their quality. The higher quality, the better the meat you get from them! All lab bought herds start at D, but through careful watering, feeding and worming they can be raised up to an A+, the highest grade. 5. What are the "Foliage Health" and "Filth" meters? Foliage health indicates the health of the plants in the herbivore's enclosure. Since this is what your herbivores eat, making sure this is a high percentage is important for your critters! You can raise it by fertilizing the enclosure with harvested carnivore poop. The Filth meter indicates general uncleanliness in the enclosure. You want to keep the habitat clean and nice to make your herbivores healthy and happy. 6. How do I breed herbivores? Herbivores breed by themselves during herbivore breeding season, which lasts from the 20th to the 24th of each month. In order to get babies, you need to have at least one male and one female in each herd and you need to have enough space in the enclosure to hold new herbivores. 7. When do Herbivores grow/die/breed? Herbivores live to 70 days, they grow up from babies to adults after 20 days, and they breed during herbivore breeding season which starts on the 20th of each month and ends on the 24th. 8. How many eggs/babies do herbivores get per breeding? Most herbivores get 1-5 eggs per breeding cycle per female, but the rarer mammals get only 1-2. 9. Do herbivores age when I don't log in? Nope! Like carnivores, herbivores only age/get thirsty/etc once per day on days you log in. An errand is a task shopkeepers will ask you to do for them. All errands come with a reward that you get upon completion. Generally they will ask you to deliver an item you can buy from their shop and deliver it to another shopkeeper. 2. I took an errand. How do I take the items to the shopkeeper? You have to buy the items requested and take them to the specified shopkeeper. Each shopkeeper has a name that you can find in the store's description. Not ALL errands will be beneficial - some will cause you to lose money rather than make it! 3. Why can't I click the checkbox for some items in my inventory? You can't click the checkbox for stacked items. Click the item to view each individual item in the stack. 4. I have a question not on here! Feel free to toss it up on the Help Boards or into the Help Box and you'll find that the players and mods on EX are quite friendly and willing to help you out if they can :D!